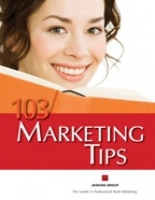 103 Book Marketing and Sales Tips provides you with the necessary foundation for launching your successful book marketing program. - How do I optimize my website for book sales? - What networking opportunities should I look out for? - Why would I want to be friends with my competition? - What is social media, and how do I participate?